Say hello to the Oppo R15 and R15 Pro, two new models from the 4th largest phone maker in the world (yes, you read that correctly) both released at a star-studded concert held in Shenzhen, China over the Easter weekend. Oppo, for those of you who don’t already know, is a huge brand in China and across Asia, but rather than relying purely on processing power and geeky specs to sell phones it is known as a brand that fuses fashion, beauty, and technology to attract a wider audience. Think of Oppo less of a traditional smartphone maker and more of a high-tech, innovative, lifestyle brand. The R15 and R15 Pro are the latest smartphones in the Oppo range and take over the flagship mantle from the previously released R11 model. 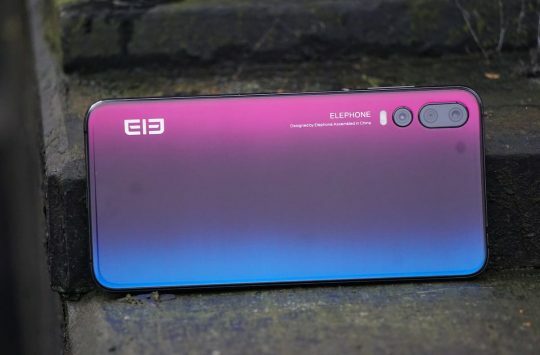 These aren’t phones that you’re likely to find in your local phone shop or even online in the UK or Europe (for now at least) but across Asia, and in a few select countries around the globe, the brand is fast becoming the one to watch. First of all, let’s talk differences. While the Oppo R15 and R15 Pro do look similar and share most of the main features, there are some differences between the two phones. Glance over the specifications and you’ll see that most of the hardware is shared between both phones, even the amount of RAM and storage (6GB + 128GB) is identical between these phones and that’s rather unusual. Both phones use the same display, offer the same fingerprint scanner, and VOOC fast charging, and both have advanced AI features and Sony’s latest generation IMX519 camera sensor. This makes the standard Oppo R15 an impressive flagship in its own right, so why launch a separate R15 Pro? Qualcomm powered R15 Pro on the left, Mediatek powered R15 on the right. 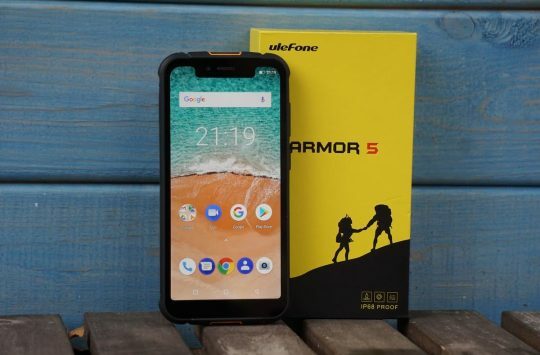 Well on the specification front, the R15 Pro boasts a slightly more powerful 2.2Ghz Snapdragon 660 octa-core chipset from Qualcomm whereas the standard R15 uses the Taiwanese sourced 2.0Ghz Mediatek Helio P60. That’s not much of a difference in processing speed and even though the Pro also has an Adreno512 GPU compared to a Mali G72 MP3, it isn’t likely that you’re going to notice a huge difference in performance even while gaming. Another difference is in the camera specifications. Both the Oppo R15 and R15 Pro get a 20-megapixel front camera with F2.0 aperture, remember Oppo aims its phones at customers interested in fashion, beauty, and therefore selfies hence the high-resolution sensor up front. On the rear, both phones have dual cameras, but again it’s the Pro that wins out in specs with a main 20-megapixel F1.7 sensor and secondary 16-megapixel F1.7 unit. The standard R15, on the other hand, has a 16-megapixel F1.7 sensor with a secondary 5-megapixel F2.2 unit. If all those numbers are making your head spin then basically the R15 Pro should handle low-light conditions much better than the R15, and will also offer better quality when using optical zoom. 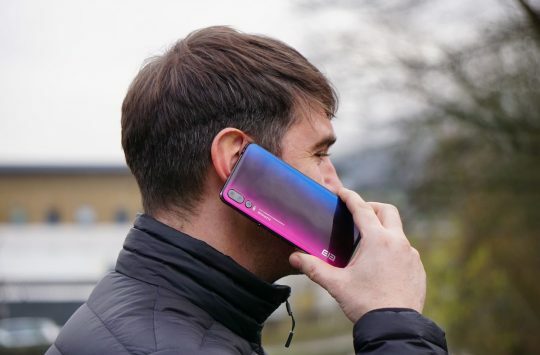 Despite both phones having many of the same ingredients, Oppo has actually gone to the extra trouble of making its new phones physically different from one another with the top of the range Pro phone having a more rounded, comfortable body compared to the angular shape of the standard R15. If you’re a phone maker launching a smartphone in 2018 there is one feature that you are going to want to have. Nope, not the ‘Notch’ but rather a full body, 19:9 ratio display. In the case of these new phones the 2280 x 1080 resolution, 6.28in, 2K panel offers a boasts a staggering screen-to-body ratio of 89%. That’s world-leading! The benefits of such a large viewing area are obvious, but there is one major drawback, especially for a brand like Oppo who also needs room up front for the selfie camera, and this is where the ‘Notch’ design comes in to play. Oppo tells us that they spoke to customers and discussed the option of running the front camera on the left or the right, but in the end, the “notch” was the best option and gives the phone a balanced design. The company also hinted at developments in the future which might remove the notch on upcoming phones, we’re thinking an under screen camera, but for now, the “notch” is here to stay. With a stunning 2K display covering the front of the phone, Oppo had to create an equally stunning rear to keep its style credentials. Across the range of R15 and R15 Pro phones, there are a number of colours to choose from including simple black or white glass backed versions but it is the more sophisticated gradient finished phones that are likely to prove more popular. Oppo approached industrial designer Karim Rashid to create these gradients and he’s managed to hit the design brief out of the park with the Nebula Purple and Ruby Red gradients that offer a mesmerizing shifting fade. You might be reading this and be thinking that this is simply a colour option, but in the flesh, the R15 is an amazing piece of smartphone design that catches the eye no matter which side you look at. AI is a feature that we’re seeing more and more often on high-end smartphones, and like Huawei, Samsung, and other phone makers, Oppo has implemented AI in the camera application of the R15 and R15 Pro. The AI system on the Oppo allows the phone to identify a scene and automatically make changes to the settings on the fly. Oppo’s AI can automatically identify plants, buildings, cloudy weather, food, snow, sunset, the night, the beach, water, text, and objects that are backlit. It’s so smart that it can even distinguish between a baby and an adult or a dog and a cat! In addition to AI, there are some fun sticker features built-in to the application, similar to what you find in Snapchat, as well as beautification features which are the norm for Asian smartphones. We’ll go into more details on both of these points in our upcoming full review. Fast charging is common on many top-end smartphones but it was Oppo that first introduced the feature. VOOC is one of the fastest charging solutions to date offering 2 hours of talk time from only 5 minutes of charging. Face unlock might be a feature that Apple made famous with the iPhone X, but in actual fact, Android phones have been able to offer this security feature for some time already. The R15 uses its front camera to identify the user and takes just 0.08 seconds to decide if it should unlock or not. If face recognition isn’t your thing then you’ll be happy to know that Oppo has retained a fingerprint scanner on the rear of the phone too. And finally, we have a feature that while isn’t high-tech or new, it is still a feature we all appreciate and one that’s disappearing. That’s right! The R15 gets a 3.5mm headphone jack, so all those headphones you have at home are going to work without purchasing an additional dongle. The R15 is going to be a rare sight outside of Oppo’s target markets, and that’s a little sad. On first impressions, the Oppo R15 is a feature packed, beautifully designed and extremely well made Android smartphone. It might not have the same processing grunt as a Samsung Galaxy S9, but that’s not the point. If design, build and features such as stupendously fast charging, huge amounts of storage and a clever camera system are what you value most, the Oppo R15 and R15 Pro are well worth tracking down. A full review of the Oppo R15 Pro is coming soon.